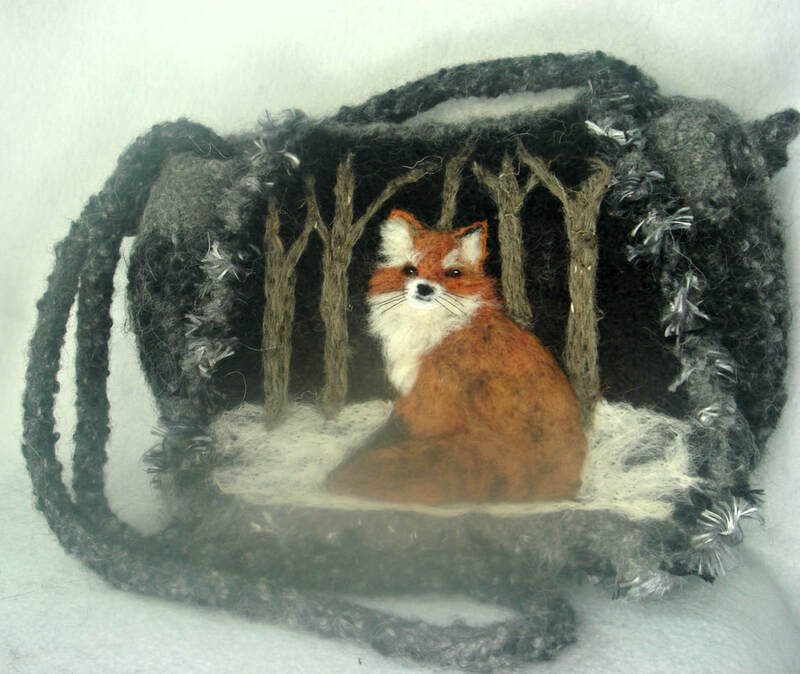 DESCRIPTION: ​100% Baby Alpaca knitted and felted purse highlighted with a beautiful fox on the front flap. 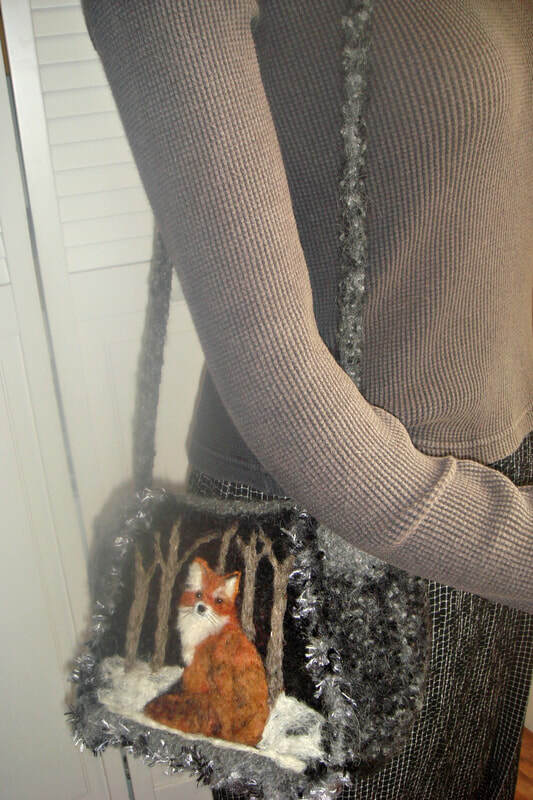 This beautiful black and gray bag is perfect is a show stopper. 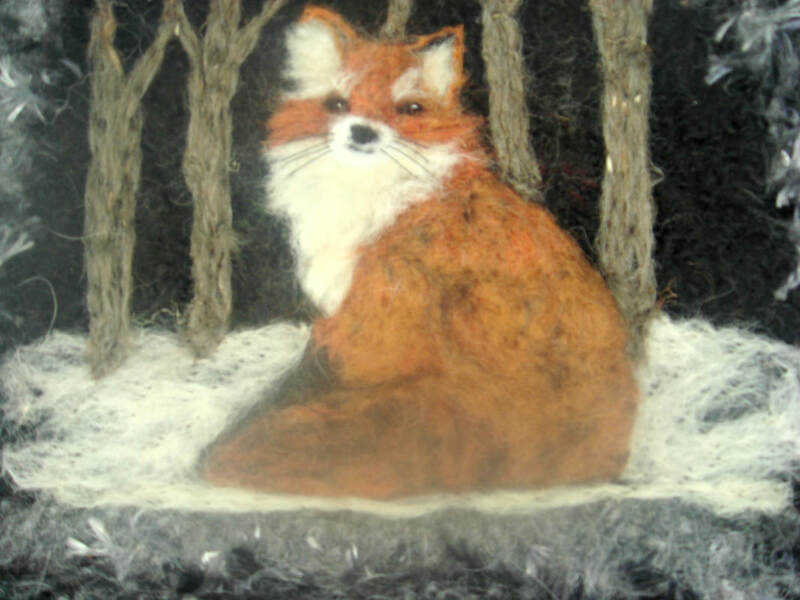 The little fox sits in the snow and stares at the camera! Alpaca is hypo allergenic and is sooo soft, yet the purse is firm and thick. The handbag has an inside pocket and closes with a magnetic snap. The measurements are: 12" X 8" X 3"
MEASUREMENTS: 12" X 8" X 3"